Havas Lynx were the big winners of the 33rd annual PM Society Awards on Friday 1 February, scooping nine Gold awards across work for three different clients. Cognite received the second largest amount of Gold awards with three, also for three different pharma companies. Other Gold winners were CDM London, Life Healthcare, McCann Health, Ogilvy, woolley pau gyro and Wordbird. This year also saw the first ever Joint Gold Award, with both Envision Pharma Group and Havas Lynx winning in the Events and Exhibitions category. The scores were neck and neck and after a debate among the judging panel in November it was decided that both entries deserved to win as judges could not choose between them. Sanofi Genzyme and Regeneron won five Gold Awards and one Silver, making them top of the pharma charts overall. AstraZeneca won two Golds, and other Gold winners included Aspen, Boeringher Ingelheim, Galderma, Johnson & Johnson, Mundipharma, Napp, Novartis, PTC Therapeutics, Shire, Teva, Tillotts Pharma and ViiV. Although the Gold Awards were dominated by the Havas Lynx Group there were 27 different agencies that received a Gold, Silver or Bronze for their work with 34 different pharma companies, a wider spread than last year. 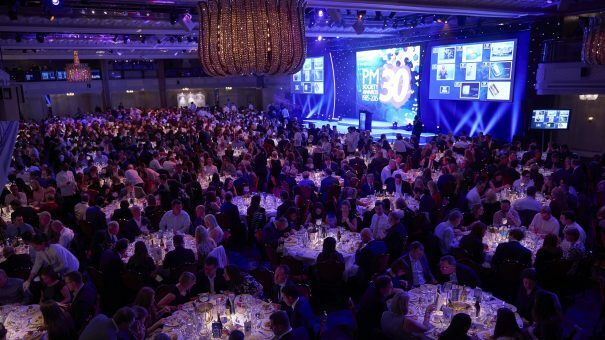 “Our 19 categories included two changes from last year,” said Neil Smith, chairman of the PM Society Awards. “We combined campaigns for primary and secondary care into a single mixed media award and considering our watchwords are ‘Creativity. Impact. Innovation’ it seemed only proper to add an award specifically for Innovation. For a full list of winners see here.